Your link to some great spells for beginners! Are you excited, drawn to and ready to take your first steps into magick, Wicca and witchcraft? And perhaps you are looking for some quality magic spells for beginners but you have doubts on your ability? This article will help you understand where magic comes from. It will also help you create a path that you can follow on your magickal journey! Over past generations, Magick and witchcraft has been portrayed a certain way. You probably feel that magic is something you have to be born into. That you need to be born a witch or wizard, from a witch, into an established witch’s coven. Or you might simply believe that a “normal” or “regular” person like you cannot be a witch or wizard. Or even to have the ability to cast magic spells, but you’d be wrong…very wrong! It takes time, but everyone can learn magick! It takes a lot of time to learn and successfully practice Magic Spells and rituals. Within every one of us however is the true essence of Magick! Magick is a natural and spiritual force that comes from inside us. It is an energy for controlling and manipulating the world and the universe around us. Real magic spells that workhelp us tap into that inner power and express it. With the right magick spells for beginners performed in the right way and with the best intentions, you can achieve your wildest dreams. Also and more importantly, you can bend the universe to your will! Not quite the law of attraction, not quite mantras but real influence! No one starts off as an experienced sorcerer! Many witches will tell you that in order to be powerful and cast effective magic spells you need to be an experienced witch or wizard. That’s true… sort of, but it is not the be all and end all. It doesn’t mean that YOU cannot cast magic spells. it just means that like any skill worth having, your abilities, skills and power will grow over time. Let’s also acknowledge that it takes practice, trial and error. The spells for beginners you cast at the beginning of your magical “career” will still be effective and bring you results. As your magickal journey progresses, you’ll learn more about magic. Learn more about which types of magic you prefer and what sorts of magic spells works best for you. 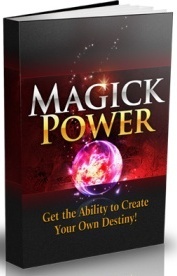 Your magickal power will also grow and you will gain the ability to perform harder and more complex spells! There’s absolutely no reason why a student shouldn’t get started with magick spells for beginners straight away. Simply have a go and cast your first spell! Take it from me, everyone has to start learning and practising magic sometime and somewhere! Making a start is simple and easy to do. Practice and dedication will bring about some real change in your life as a result. Like any life or technical skill, the more magic you perform your spells for beginners and the more you practice, the better you will get and the more your skill will develop. You will undoubtedly come across people who are against you learning and practicing magick for one reason or another. Don’t let these psychic vampires put you off your desire to learn magic and magic spells. Don’t listen when they tell tell you it doesn’t work. Or that you can’t do it, or that you’re not powerful enough. You absolutely are all of these things and more. You have the potential inside of you to become the most powerful witch or wizard walking this green earth. To that end, a magickal beginner must be willing to get started slowly. Focus and discipline to learn the trade is crucial. So as a beginner, you are learning and casting spells that are on the easier side of the spectrum. That doesn’t mean its going to be easy. And it doesn’t mean you don’t have to try hard. No one can just go in and become a successful witch or wizard instantly. Learn to make concentration, practice, focus and visualisation your friends! Think carefully about what you want from your magick. This is the very the best way to get started as a magical beginner. Are you looking for love spells, money spells, protection spells, success, power spells? Your next step is to then find a good quality spell from an experienced witch and try it out. Once you’re familiar and comfortable with spell casting, you can extend your repertoire. Move onto “meta” magic – protection spells, anti-reversal spells, power and energy boosting spells and so on. Deep inside your body and soul is where magic ability is stored. It is a powerful, untapped resource. It is an amazing gift you have received. And it is there for a purpose. You should start using it today! Click the image below to go and get your first lot of spells for beginners plus way, way more!